Aging in Place defines aging in place as “the ability to live in one’s own home and community safely, independently, and comfortably. 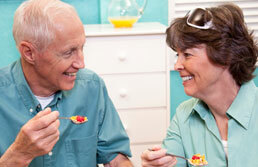 Aging in Place can also mean assisted living at a new residence. We also provide resources and services Handy Man Repairs & Remodeling for ‘Aging in Place’ needs. MOVING ON! Services offers aging in place remodeling and design services with craftsmen are licensed, bonded and insured. We specialize in home repairs, upkeep and maintenance for seniors to help them extend the time spent in the home they love and cherish; helping seniors to remain independent and safe in their home. • Personal Shopping, Errands We provide personal shopping and/or run errands to assist the client in the full scope of the project. • Sort, Space Planning, Pack, Move, Unpack, Redecorate, Reorganize We provide as much or as little as is needed. • Disposal of Surplus Possessions Either recycling, donate or bulk trash pickups. We arrange for the complete clean-out of the residence. • Deep Cleaning We provide Deep Cleaning for pre or post sales, emergency situations, or on a specific schedule.